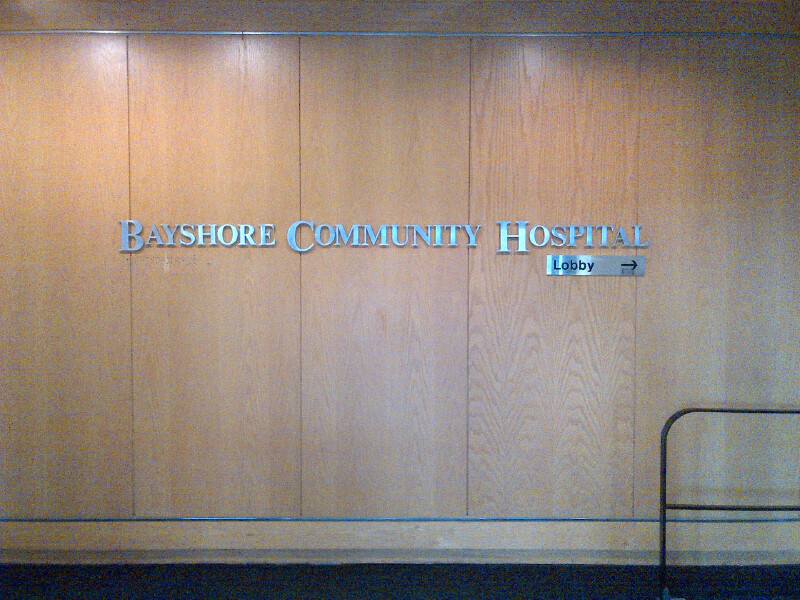 I visit Bayshore Hospital very frequently, to check on our patients and long term residents. Many of our credentialed doctors at Regency Park Nursing and Rehab look after their patients at Bayshore Hospital as well. Regency Park and Bayshore Hospital share a long and productive relationship over many years. We have been there for the Hospital and have provided their discharged patients with a reputable and top flight rehab facility in the Hazlet/Holmdel area. Just this morning, I went to visit several of our patients at the hospital and snapped this picture just inside the main entrance. This entry was posted in HealthCare News and tagged bayshore hospital, bayshore rehab facilities, regency park. Bookmark the permalink.